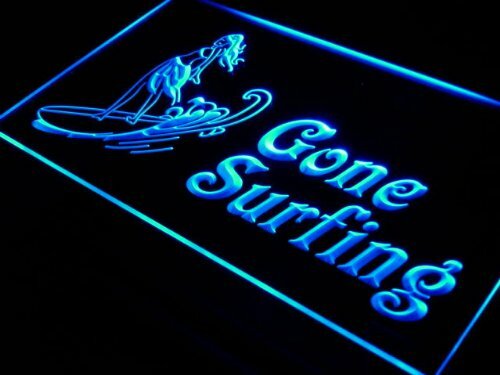 Janet Carmen Van Sign, Gone Surfing Sign, Surfer Gift, Beach House Decor, Hippie Van Decor, Custom Surfing Sign, Surf Decor, Quality Aluminum 12"x18" Metal Sign. 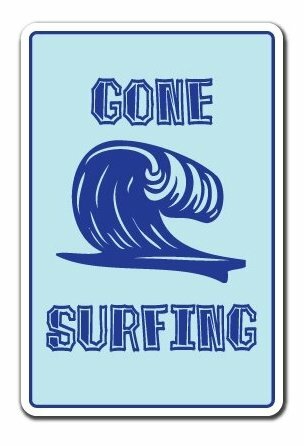 This a great sign for any den, game room, man cave, home, or store decor. 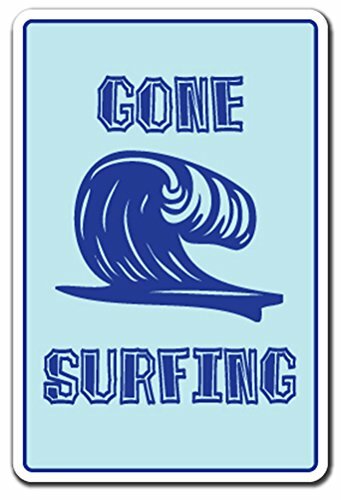 Get a fun novelty sign for your home and office and show off your sense of humor.Looking for a fun, hilarious sign to hang on your cubicle or in your “man cave”? If so, SignMission has all the cute, funny, hilarious, and even work-related novelty signs you’re looking for!Something for EveryoneWe’ve got a wide range of American-made signs just like this one that will tickle your funny bone, make others smile, or even show off your snarky attitude.Made To LastMade from a special plastic desgined to hold up to a beating, This sign can bend with out breaking and will never chip or crack, the colorful lettering will last a lifetime indoors and up to 4 years in the sun for outdoor use.Product Details:Pre-Drilled Mounting HolesIndoor and Outdoor UseRust and Fade ResistantOne-SidedDimension: 10” x 14”Made in the USAOutdoor Durable Plastic and Premium-Grade InkClick ‘Add to Cart’ to get your Gone Surfing sign today and enjoy a good laugh each time you pass by! Get this set of unique Graphic Designer novelty decals for your home, office, or gear show off your personality. Looking for a fun, unique way to decorate your favorite stuff? If so, SignMission has all the cute, distinctive, unique, and even hilarious decals you’re looking for!Something for Everyone We’ve got a wide range of American-made decals just like this set of Graphic Designer decals that will show off your interests, make others smile, or even show off your snarky attitude.Colorful and Durable SignMission decals are made of durable vinyl, with HD graphics that perfectly highlight the colors and image. And because they're safe for indoor and outdoor use, you can stick one on your patio, in the living room, or anywhere else you want to get people smiling or laughing along.Product Details: Graphic Designer Decal Set Indoor and Outdoor Use Fade Resistant One-Sided Dimensions: 3.3" X 5" Made in the USAClick ‘Add to Cart’ to get your Graphic Designer Decal Set today and enjoy a good laugh each time you pass by! 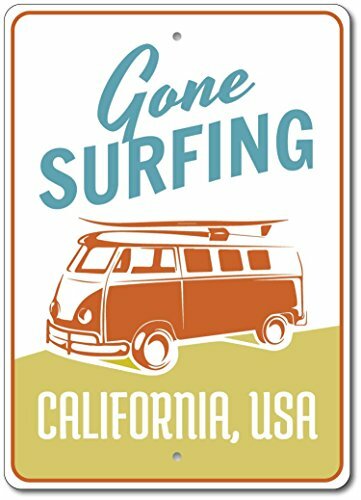 Old vintage rusted gone surfing surf California sign. We offer rusted vintage signs for all occasions. Made of high quality aluminum metal aluminum.Sturdy aluminum construction is strong enough to hold up to indoor or outdoor use.Rustproof, waterproof and weather-resist.Good for indoor and outdoor display.Eco-friendly process, Pre-drilled holes for easy mounting. 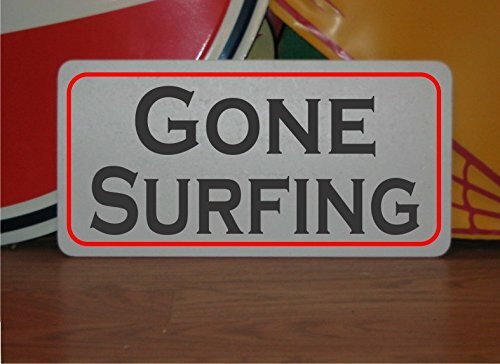 The "gone surfing" sentiment of this surfboard wooden wall plaque makes it perfect for anyone who enjoys surfing. You can also use it as a neat beachy accent in your home. 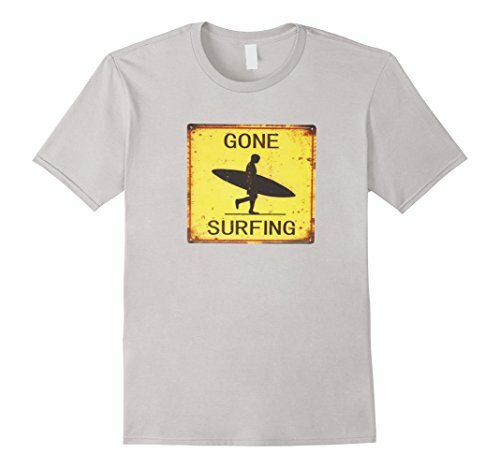 Compare prices on Gone Surfing Surf Sign at ShopPlanetUp.com – use promo codes and coupons for best offers and deals. We work hard to get you amazing deals and collect all available offers online and represent it in one place for the customers. Now our visitors can leverage benefits of big brands and heavy discounts available for that day and for famous brands.